Sixteenth in the Hometown Holiday Series. All models are stitched on 30ct Natural Northern Cross Linen. (Natural is now known as Portobello.) 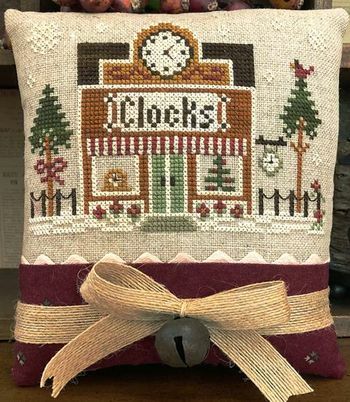 Stitch count for "Clockmaker" is 76w x 50h; finished size is 5" x 3.5".